One of the common questions I am asked is about how to get the right formatting for an ebook for Kindle, Smashwords or Draft2Digital. While many think it is difficult or even tiresome trying to get a manuscript passed by Smashwords, the truth is that it is very easy. So long as you understand that you need to format an ebook for a number of different file formats. For those used to using Kindle publishing, it often comes as a surprise that the file you uploaded to KDP is unsuitable for other formats. The reason is simple. Kindle converts your file to their one proprietary format and so long as it fits on the screen, you pass. The problem with this though is that bad formatting that is inherent in your document will affect the quality of your ebook. I have read many Kindle ebooks that have suffered from this. It is extremely annoying when fonts change, line spacing and paragraph formatting changes and page breaks create unwanted blank pages or the table of contents is badly formed. To avoid these problems, it is important to format an ebook correctly before uploading and publishing. When publishing with Smashwords, your ebook file needs to be suitable for nine different ebook formats, not just one. This is why you need to change your thinking from simply producing a Word document, to producing an ebook file. One that will appear exactly the same in any ebook format. I now have the habit of preparing a new book for Smashwords first, and then publishing the file to KDP so I know the ebook will be perfect on Kindle as well. 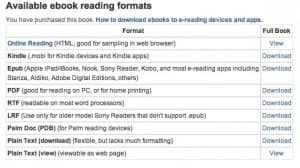 So what do you need to do to correctly format an ebook? Firstly, read the free Smashwords Style Guide. It’s the best reference book around for understanding how to format an ebook. However, there are just a couple of points that are worth making that are common causes of problems with getting an ebook approved by Smashwords. These are guidelines that should be applied to Kindle ebooks as well. Key points for formatting your manuscript. 1. There are font sizes larger than 18pt in the document. This is usually on the title page or line spaces after the title. Remember that a blank line still carries font properties, so just because you can’s see a line in 24pt doesn’t mean it’s not there. Reduce all large sized fonts to a maximum of 18pt. 2. Styles are what gives every line in your document its properties. Too many styles with too many attributes will cause problems and inconsistency in the text. If you don’t understand how styles work in Microsoft Word, start reading and learning, as this is the area that causes the most errors in a document. This help page from Microsoft gives a good basic guide to styles. My advice is to use only a few styles. Stick to the basic ones such as, ‘Normal, Heading 1 and Heading 2’ and make sure all are using the same font. 3. Paragraphs are the cause of many problems because ebooks need absolute consistency. 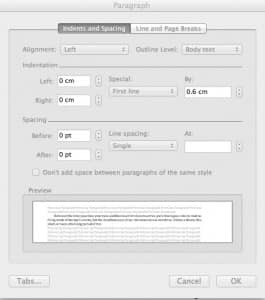 An ebook needs to be flexible with text, line length and paragraphs. Just think about what happens when you read in landscape or portrait mode and how the text changes. Also, reading an ebook on different screen sizes from a smartphone to a tablet needs fluid text. The best method to achieve this is to eliminate line breaks. I know many authors who get a little upset about not having a line space between paragraphs, but this is an ebook and not a book. Books do not change size and shape, but ebooks do, so leave the thought of beautiful typography out of your thinking. In the image, you can see that first line indent is used to create paragraphs with no line spacing before and after a line. This is the ideal setting for an ebook file. 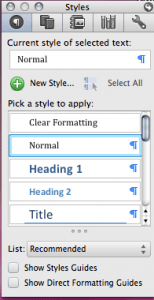 The most important point about creating an ebook file in Word is maintaining consistency throughout the whole document. The fact that a book takes an awfully long time to write creates most of the problems, as little attention is taken with regard to formatting while in the process of writing. The best approach I have found is to take what Smashwords call the ‘Nuclear‘ approach. That means to convert your whole Microsoft Word file to plain text and then copy it back into a new Word file and start the whole formatting process from scratch. Then getting your ebook approved is easy. So happy ebook formatting. We now also have a video guide to help you to format your ebooks for Kindle or Smashwords. so, i have no line breaks, but i do have page breaks. and the chapter header is about 14pt with times new roman font, size 12 for normal text. all the indents are consistent, though and the text justified. there are page numbers + author/book name at the top of each page. but all this was done in a word doc. now i’m worried. as i’m blind, i can’t really tell how the format looks on kindle. All sounds fine Jina, except for the page numbers. Ebooks don’t use page numbers so I would delete them. oh? the indents are all consistent, like, the beginnin of a paragraph and everything goes straight down. and the page number, can i delete that and just leave the author/book name? The author name and book title are usually added by the ebook publisher. eg, Kindle or Apple. Anything in the headers and footers is usually ignored.